Whether you purchase a new car of a previously own vehicle, vehicle maintenance is inevitable. Proper vehicle maintenance doesn’t have to be expensive. 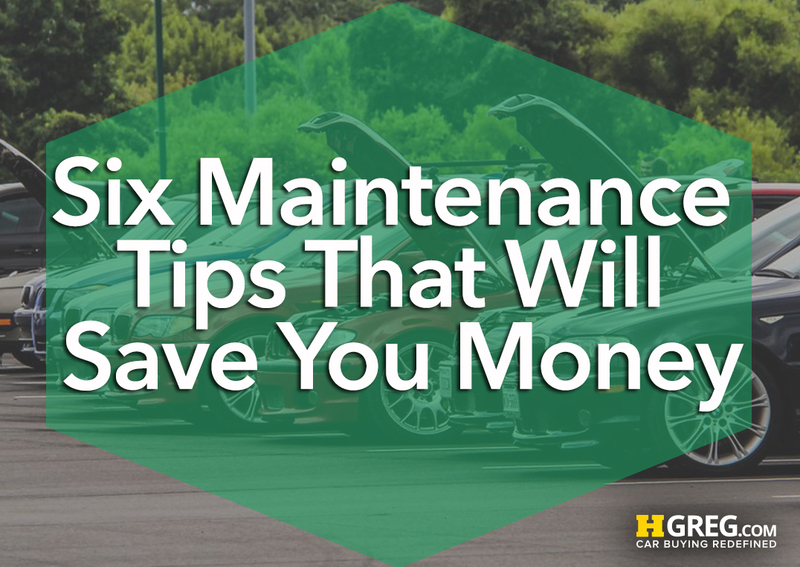 Below are six maintenance tips that will save you money, allow you to become more familiar you’re your vehicle and extend the life of your automobile. Wiper Blades: We all know how important it is to be able to see out of our windshield. Try to replace your wiper blades every six months to a year. It will only take you about 15 or 20 minutes, and can cost as little as $10. Spare Tire: You should always keep adequate air pressure in your tires, and check this periodically. But that doesn’t mean you should neglect your spare tire. When the temperature changes, air pressure does as well, so make sure your spare is always in good condition and ready to be used. Fluids: Keeping your fluids topped off is something you can do on your own. Whether it’s windshield wiper fluid or brake fluid, you should periodically make sure your levels are as they should be. According to Bankrate, windshield wiper fluid is only about $2 to $4 a gallon, while brake fluid can be anywhere from $3 to $17. Anti-freeze is also an important fluid to keep an eye on, especially as the weather is changing. Gallons of anti-freeze tend to run about $10 to $16. Air Filter: The engine air filter is important because it allows oxygen to move through your engine and keep it cool. Like any filter, it accumulates dust and filth and needs to be replaced. According to One Cent at a Time, a lifestyle and financial blog, keeping your air filter clean will also increase your car’s overall power and gas mileage. Headlight Bulbs: If you find your headlights are getting low, or maybe one has already gone out, don’t waste time. Headlight bulbs are simple to replace and don’t require the assistance of a mechanic. While there are some vehicles that contain sealed-beam headlights, which will require you to visit an auto shop, many do not, making it simple for you to simply take out the old bulb and put a new one in. Just make sure you get the right type of bulb. Battery: Cleaning your battery from time to time will keep it efficient and help it last longer. Your battery will accumulate dirt and grime, which is normal, and you should scrape it away. This can be as simple as using a wire brush. If corrosion is pretty bad on your battery, then you should consider purchasing an anti-corrosive fluid that would help break it down. A little vehicle maintenance doesn’t have to be a daunting task. Consider how much money you will save and how long your vehicle will last in the long run. For additional vehicle maintenance needs be sure to stop by our service department and we’ll get you squared away.